Cardinia Beaconhills Golf Links is a seasoned Golf Club nestled in the foot of the picturesque Dandenong ranges. The hidden gem boasts a renovated club house, homes two challenging courses and has a bustling and welcoming atmosphere. Behind what we see today lies a rich history with the club’s roots dating back to the 1920s. Founder Charles Ford (owner of The Palms Restaurant – the Dorchester) along with the influence of formerly well-known golfers, the Banks brothers, envisioned and brought to life the original course layout. Once heavy bush land enclosing the land was cleared the Lakes Golf Links was carved out and completed. Whilst, the original layout of the course has evolved over time many holes, such as the first, sixth and fourteenth continue to be played in a similar manner to the 1920s. Not only have such features remained but Ford’s trademark, Palm trees are an artefact that you can see glimpses of today. The original club house, much of which stands nowadays carries its own history being made from bark, granite pillars and posts cut out from local trees. At present, if you visit the clubhouse on a frosty winters day you’ll be sure to find the original granite fireplace in full swing. Mr Ford dreamt big for the complex and even tried for a holiday resort but failed in the mid-1930s. With the 1930s and depression years passing, the Colonial Mutual Assurance Company took over the property at the end of 1938 and through the war years managed the newly completed 18-hole course as a staff facility. The name Beaconhills Golf links was born, but shortly after the war CMA decided to sell the golf links. Beaconhills Country Golf Club was formed on August 4, 1947. In the 1970s and early 1980s the club was expanding and so a second 18-hole course was underway. However, the 1983 Ash Wednesday fires brought tragedy to the community of Upper Beaconsfield. The spring of 1982 saw little rain and the summer that followed was long and hot. On February 16, 1983, a late change of wind turned a 15km long fire into a broad front that raced through Upper Beaconsfield causing major devastation. The inferno took 21 lives and destroyed 186 homes. In true sportsmanship, the members of the club rallied and did their best to overcome the disaster. The club turned into refuge for nine local families that lived in caravans at the premises, using its facilities for several months. Miraculously, the 18-hole course that was mid construction survived the horrors of Ash Wednesday. Thus, by 1984, 36 holes were in play, the original course known as the hills and the new course as the lakes. The club continued to evolve and prosper before hitting troublesome financial times in 2007. 36 holes turned into 27 holes, with the land intended for residential sale, alas the sale fell through leaving the club with vacant land. The following years were tough but a deal with the Cardinia Council brought hope and a future to the club. The land was sold to the Council for 4.15 million with 2.68 million being injected back in capital fund projects between 2012-2019. The club is on a 50-year lease with the Cardinia Council securing its continued presence. Thus far the club house which was once surrounded by dirt roads has been renovated and rejuvenated, general course improvements including drainage and irrigation have been made, internal renovation works inside the clubhouse and 2 new cart sheds have been constructed. In addition to this our product scope has expanded to include FootGolf, with our course being one of the first accredited courses in the state. 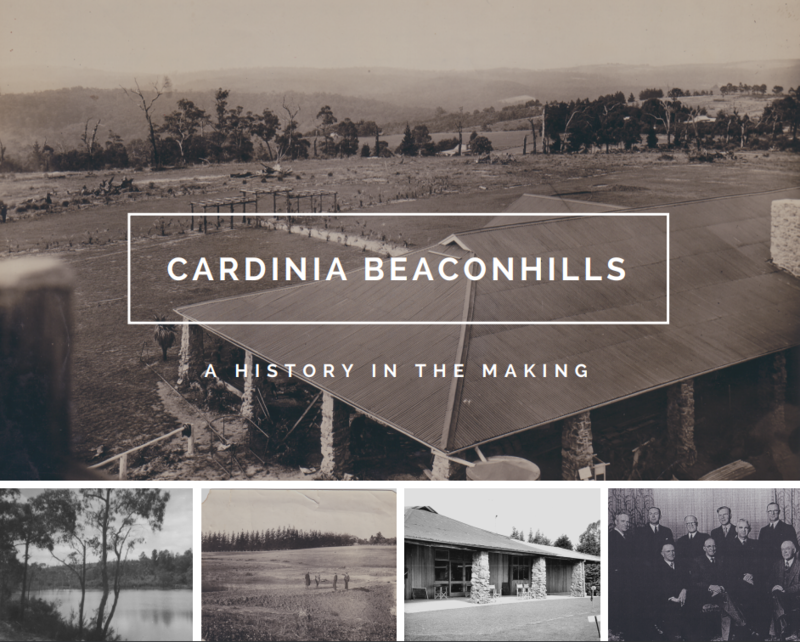 In the future Cardinia Beaconhills Golf Links will continue to leave its mark in the local community and evolve to better serve members and golf enthusiasts.